The PYRO Snow Melting control systems offer driveway, walkway, path, stairs, roof & gutter de-icing solution to prevent the formation of snow and ice at industrial, commercial and residential installation. 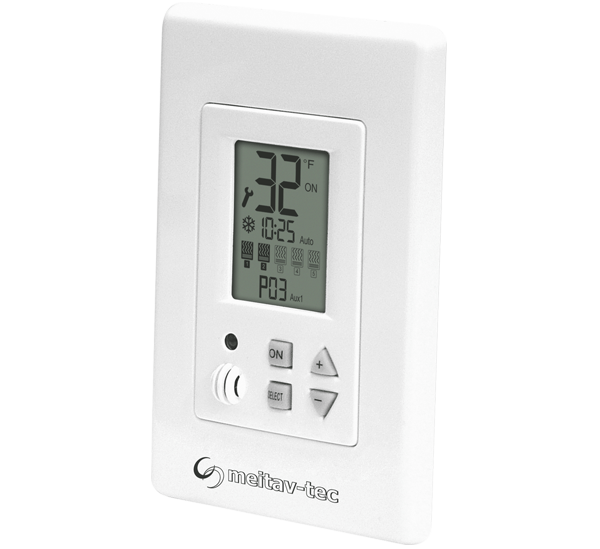 The controllers can be installed, with both, Hydronic and electrical heating systems. The unique staggering feature of the PYRO control allows the home or property owner to melt snow and ice in larger surfaces / areas compared to a common de­icing / snow melting system with the same available power supply on­site. The modularity of the PYRO system makes it the most suitable solution to any installation as the customer can choose the right configuration for his commercial or residential property needs. 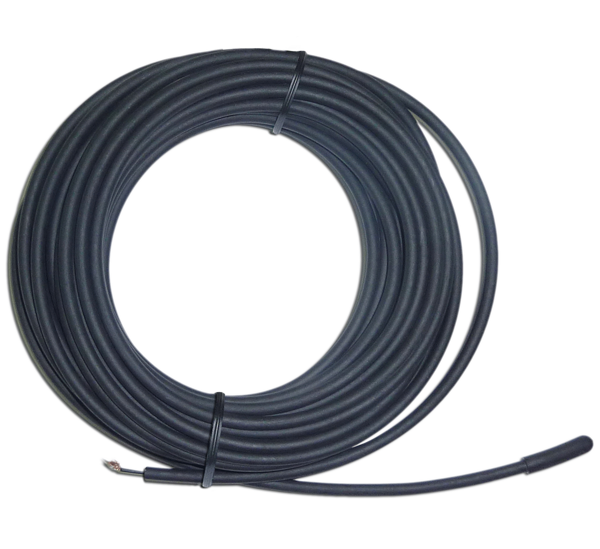 A special attention addressed; making the system friendly user to the installer, as well as, to end user A quick installation process and minimal wire connections make the system "full error proof". 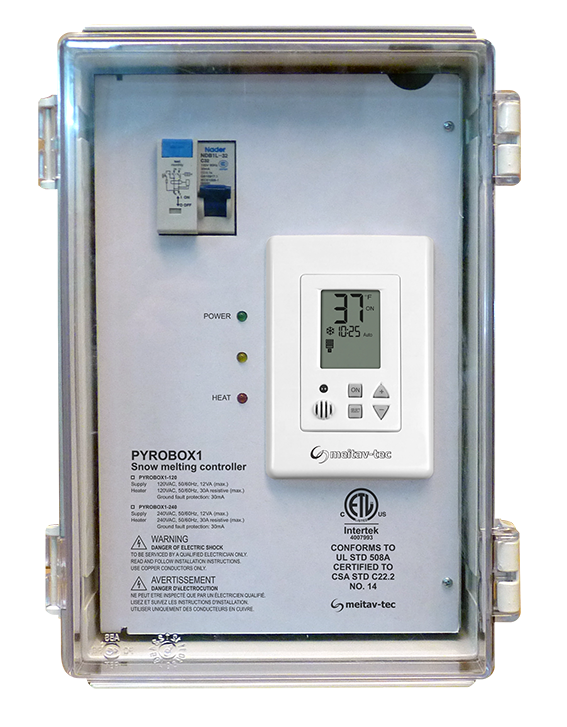 PYROBOX1 IS A “PLUG AND PLAY” CONTROLLER FOR FROST PROTECTION, ICE AND SNOW MELTING APPLICATIONSPYROBOX1 is a snow melting controller, offer smart and easy control for small installations of Snow & Ice Melting system. 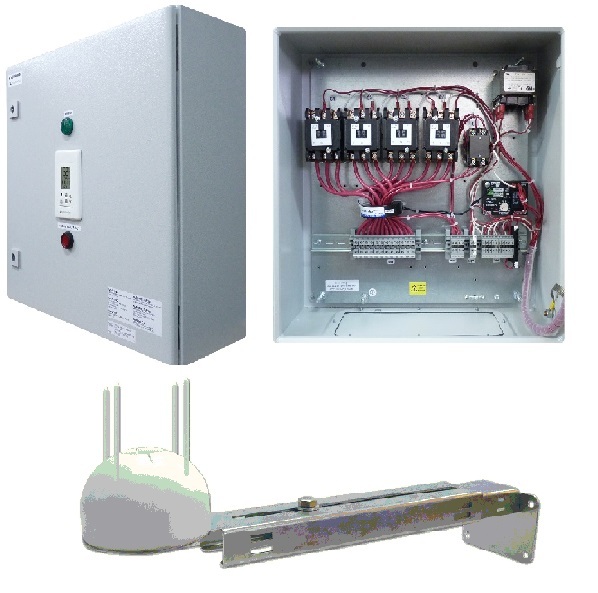 Using the PYROSENSE snow sensor or 3rd party snow sensor, upon receiving a signal from a snow sensor/s, the PYROBOX1 activate the 30A contactor, energizing heating element. 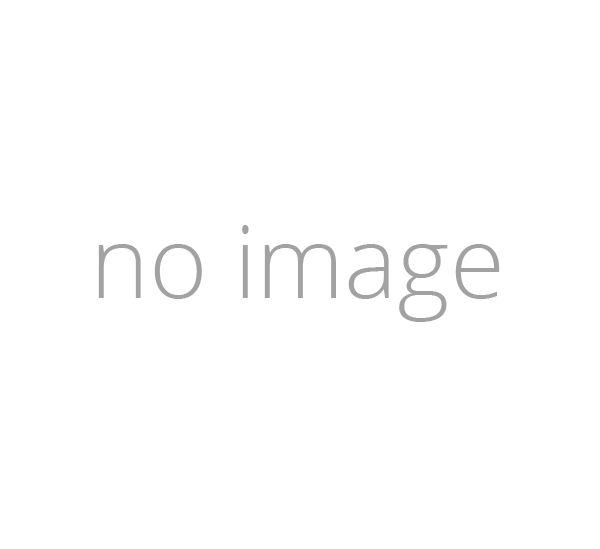 Typical applications include driveways, sidewalks, loading docks, stairs, pavements and gutters. 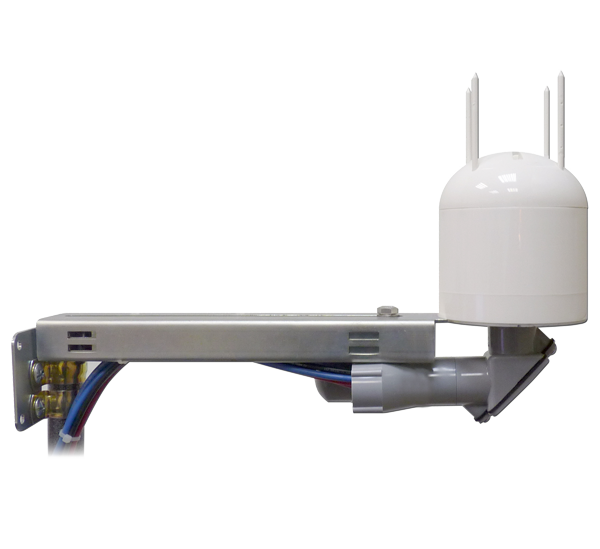 “All in one” Outdoor Snow and Ice Melting sensor, control and power distribution, ready for installation at commercial and residential installations. 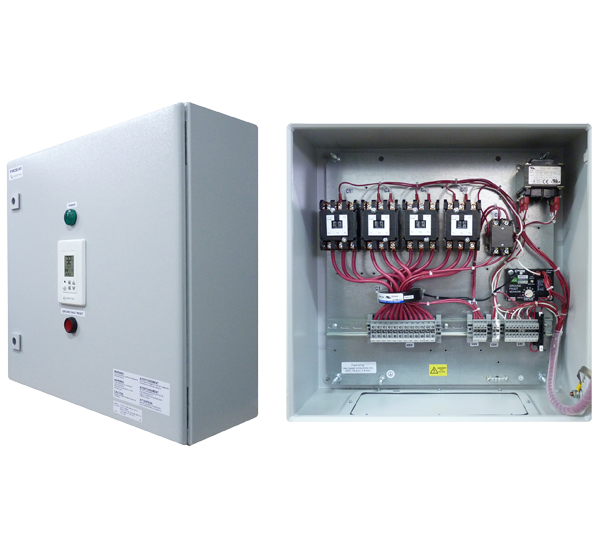 PYROBOX is a “Plug and Play” controlled power distribution panel for frost protection, ice and snow melting applications. 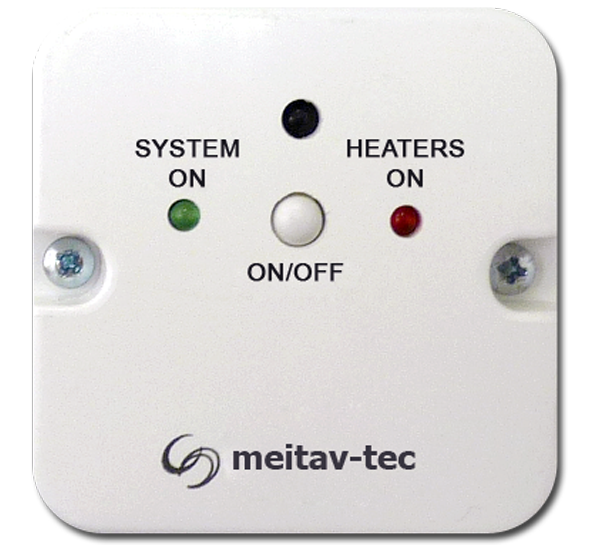 A stylish reliable Snow and Ice sensor; detects snow, measure temperature and send the information via a PYROCON12 controller to a heating system. An efficient controller for Ice and Snow melt applications. Control up to 5 electrical heating elements & capable of Customized zone sequencing. 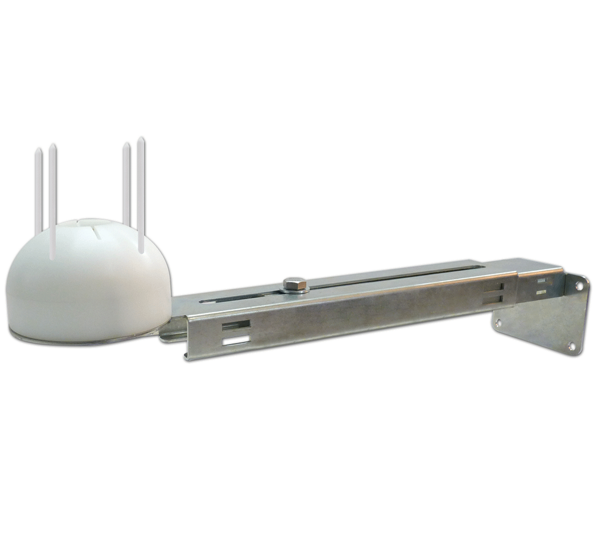 PYROULS is an Upper Limit Temperature sensor, installed under the surface, sending the surface temperature to the PYROCON12, and PYROCON12-TRACE controllers. PYROSB is a rust proof, adjustable length metal bracket for the PYROSENSE, snow sensor, of the PYRO-X snow & ice melting system. 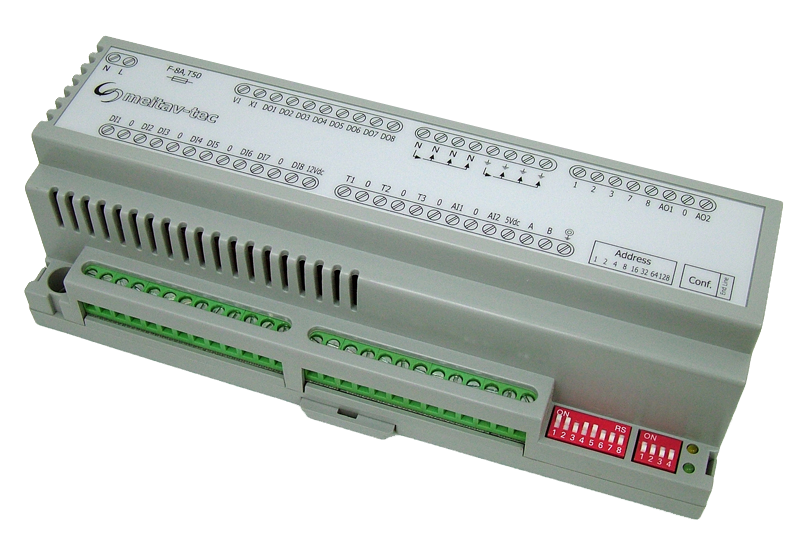 The ultimate zone Staggering Controller for Snow Melt Circuits; Industrial, commercial and residential. Works with any new or existing De-Icing system!